Perfect for comic book and superhero fans, as well as reluctant readers and boys seeking more male-centered fare, this young adult novel follows the complicated life of Bobby Baines. He's in high school, which is bad enough, but when his hero Scarlet Knight dies, he's forced to take up the mantle. 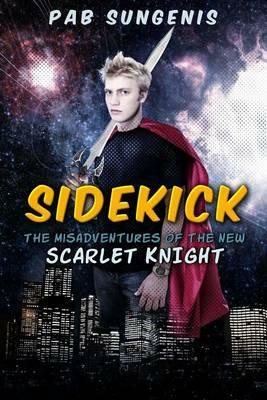 Except Scarlet Knight never had to deal with eeking out a passing grade in math, keeping his fellow sidekicks in check, or stopping a giant squid from bearing down on his school and crushing everyone inside. After all, Bobby Baines is no superhero--he's a sidekick. Pab Sugenis has worked in broadcasting for numerous radio stations and is the creator of online comic "The New Adventures of Queen Victoria." He lives in Vineland, New Jersey.